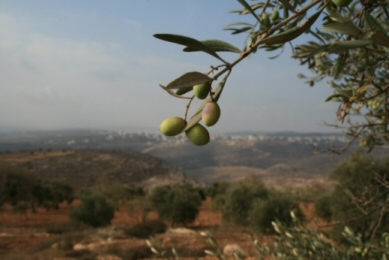 Israeli forces, on Saturday, chased Palestinian olive pickers off their land in the town of Burin, to the south of Nablus, according to an official.The Director of fieldwork in Rabbis for Human Rights, Zakaria El –Sdeh, informed WAFA Palestinian News & Info Agency that forces chased Palestinians harvesting their olive crops in land situated near Israeli settlements illegally built in the area, following a settlers’ failed attempt to attack farmers. Meanwhile, a group of Israeli settlers attacked the outskirts of the town of Madama to the south of Nablus. Settlers reportedly threatened Palestinian locals that their fate would be similar to that of the Dawabsha family and teenager Muhammad Abu Khdeir. On July 31, settlers set fire to the Dawabsha family’s home, killing the parents and their toddler baby, Ali, and leaving 4-year-old Ahmad an orphan, whereas Abu Khdeir, aged 17, was kidnapped and burnt to death by settlers in mid 2014. Al-Haq has documented a significant increase in incidents of settler violence against the Palestinian population of the West Bank since 2011. See: 11/22/15 Israeli Terrorists Burn Palestinian Citizen of Israel to Death for further info.